I've installed Skype and it appears to work fine right up until the point where I try to call someone. If I try to video call someone then the program freezes and I have to force quit. I've tried several 'solutions' I've found on various forums but none seem to work. Now, when I try to call the Echo service as a test to see if the bug's fixed, it seems to connect and start the non-video call, except that it's completely silent. No audio at all. 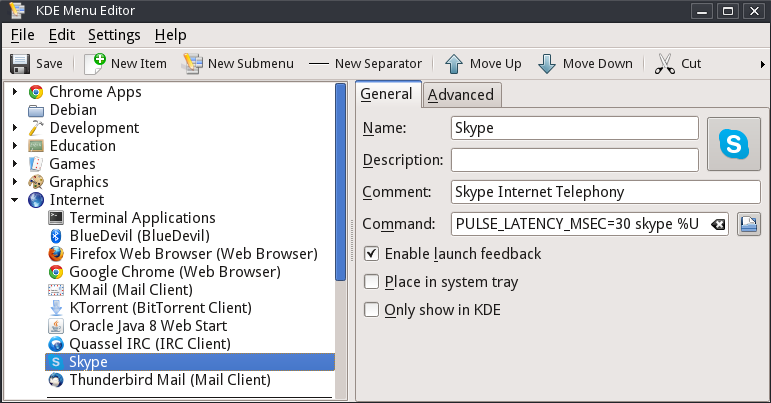 NOTE: If you are using KDE session restoring (System Settings -> Startup and Shutdown -> Session Management -> On login: Restore previous session) then after system restart (or login) Skype will not catch PULSE_LATENCY_MSEC environment variable until you restart it via its .desktop file. Got the same issue after upgrade to Ubuntu 13.10 sound interrupts badly. But suggesting to reinstall from Software Centre or from Skype download page did not help. Can someone help me escape Skype and use Ekiga?